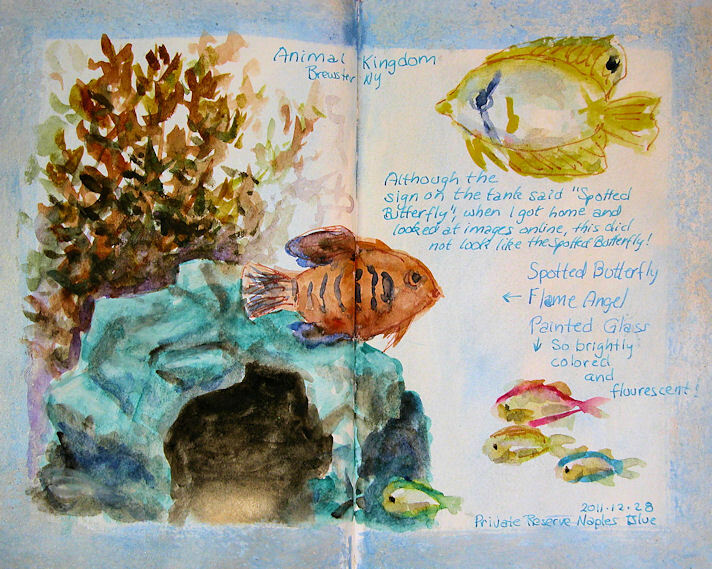 Hudson Valley Sketches: Butterfly Fish, Flame Angel, and Painted Glass Fish --- and happy new year! Butterfly Fish, Flame Angel, and Painted Glass Fish --- and happy new year! Watercolor on acrylic-prepared surface in my 5.5x8.5"
Stillman & Birn Alpha hardbound book. Happy New Year to all my visitors. I hope that 2012 brings you all joy, good health, prosperity, and let's not forget.....creativity. Of course I'm also wishing for world peace and tolerance, the end of famine and natural disasters, health care for all, and a better economy! This was my last sketch of the day at Animal Kingdom. When I do these on location, I leave the writing for after I get home. 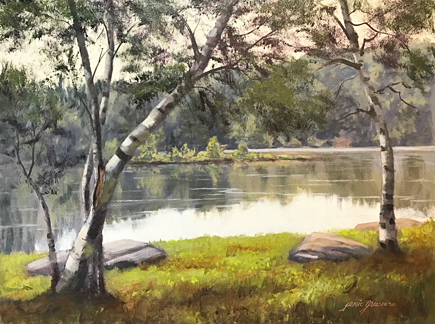 That enables me to get as many sketches done on location as I can, without being slowed down by the journaling part of it. Sometimes it takes me a few days to get that done and get the images photographed, adjusted, and loaded up here. The sign on the tank identified that yellow and white fish as a Spotted Butterfly, but when I looked online yesterday, the "Spotted Butterfly Fish" I saw didn't look anything like this one! So, I'm not quite sure what this one is, but he does look like some kind of Butterfly fish. The little glass fish were highly florescent --- gorgeous little creatures! They weren't in the same tank, but I didn't want to miss the opportunity to sketch them, so I put them in here. Happy New Year to you too, Jamie! Well done and a Happy New Year to you too. kp and Helen, many thanks!